Whatever your motivation for restoring a classic car, it is the ultimate labour of love, requiring time, patience, skill and of course, a good garage or workshop with the right tools for the job. 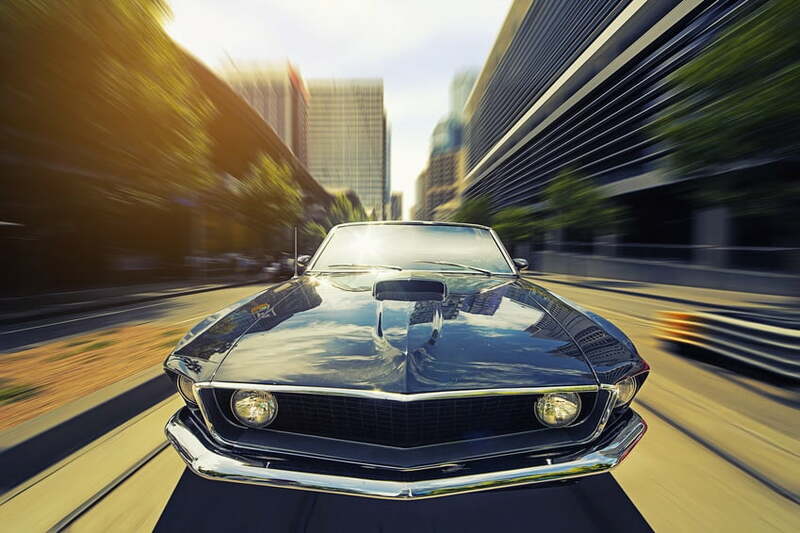 For a classic car lover, bringing a car back to life is a rewarding experience, and one that could see you turn a profit when you sell the car on. Original classic cars are becoming a rarity in the UK, with many being too expensive for the average collector. This means more classic car enthusiasts are turning to restoration as a way of affordably owning their dream car. But as with all dreams and ambitions, there’s work to be done before you stand back and admire your handiwork — with the average classic car restoration taking at least 1,000 hours to complete. In this guide, we’ll offer advice on what to consider when starting a classic car restoration project, and provide practical mechanical advice to help you get started. The guide is designed for people who’ve never restored an old car, to point you in the right direction no matter what your previous experience or skills. Restoring a car is a big commitment, and it’s easy to underestimate things like material costs and the price of tools needed to carry out certain jobs. That’s why it’s important to do your homework before splashing out on an old car. If you don’t have enough time on your hands, your project will be destined to fail from the off, or else stall long enough to sap the enjoyment out of the whole experience. Make sure you can concentrate fully on the project, without it interfering with your family or work life. And as for cost, the average classic car restoration costs anywhere between £15,000 and £40,000, including the price of buying the car and all of the tools and materials needed. Of course, this is just a ballpark, and your project could cost more or less depending on the car you buy and how much work is required. It’s worth giving yourself a budget and finding a car which suits it (in terms of the upfront cost and how much you estimate you’ll have to spend on it) rather than falling in love with a car and budgeting around it. That said it should also be a car that you feel excited about, as you’re going to be investing a lot of energy into it. This brings us to one of the hardest parts of classic car renovation — finding the right car to work on in the first place. Choosing a car that can be restored to a high standard while keeping costs down is a balancing act, so shop around and get advice from fellow enthusiasts on classic car renovation forums like OldClassicCar.co.uk. One of the best places to start your search is classified ads, either in your local paper or online. Sites like eBay and Gumtree can prove a hotbed for bargain classic cars, but make sure you view the car before agreeing to buy. There are also sites out there dedicated to selling quality classic cars in need of renovation, including CarandClassic.co.uk, which features hundreds of old cars from every major manufacturer. In short, do plenty of research online ahead of any major buying decision. When viewing a classic car, there are a few things to look for which tell you about its condition and how easy it’ll be to restore. As a rule, only buy a complete car that’s solid and free from major damage and rust. While it’s possible to replace parts and fix problems, the cost could spiral. Tip: If you need to source replacement parts, forums like the one we mentioned earlier are a great place to search for the cheapest deals as recommended by fellow classic car enthusiasts. Unless you plan to outsource your restoration project to a classic car specialist, the biggest outlay you’ll face is investing in the tools, equipment and materials needed to complete the renovation to a high standard — and that’s after you’ve found a space large enough to act as a workshop. To save on costs we’d recommend hiring these tools when they’re needed. Some of the tools require specialist skill and knowledge, so be prepared to get help with certain jobs or else invest in a training course to carry out the work yourself. A debate that has long raged in the world of classic cars is whether to restore a car to its original condition or add your own flair and personality to the mix. Restoration purists would argue that classic cars should be bought back to the condition they were in when rolling off the production line, with everything from the gear stick to the exhaust tailpipe refashioned to resemble the original component. But, while it’s true absolute originality will fetch a higher price when it comes to selling the car on, we think it’s better to go with your gut and inject personal touches as you go. The car should be modified to please you, not the next buyer, so don’t be afraid to choose the colours and design choices you like over those pre-assigned by the car’s original appearance. 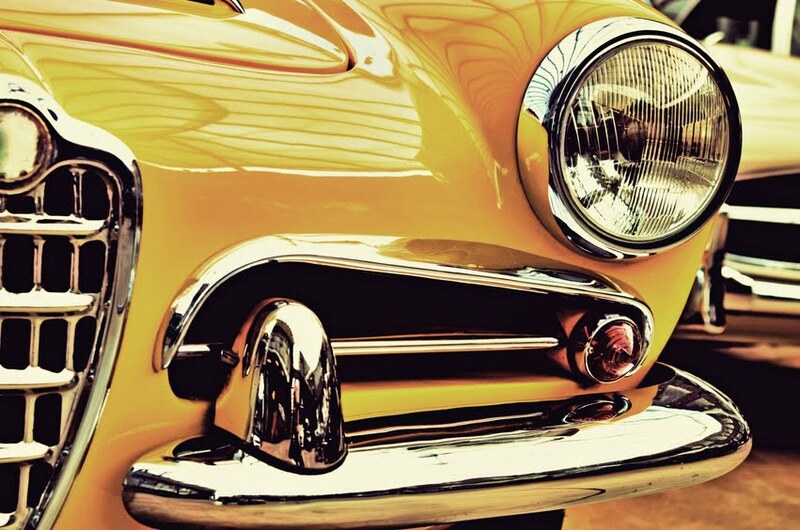 Assuming you’ve acquired a humble old ‘fixer-upper’ and have the space, tools, time and money to restore it from boot to bonnet, it’s time to think about what work is required to reinstate its original charm and showroom shine. If there’s one problem most old cars share, it’s damaged paint and bodywork. 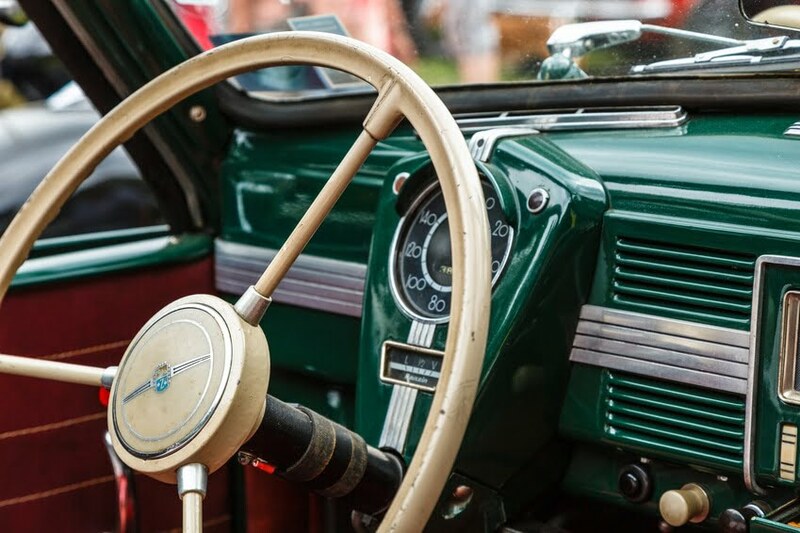 Even if they’ve been well looked after, classic cars have a tendency to develop faded paintwork as well as damage in the form of rust spots or dinks. 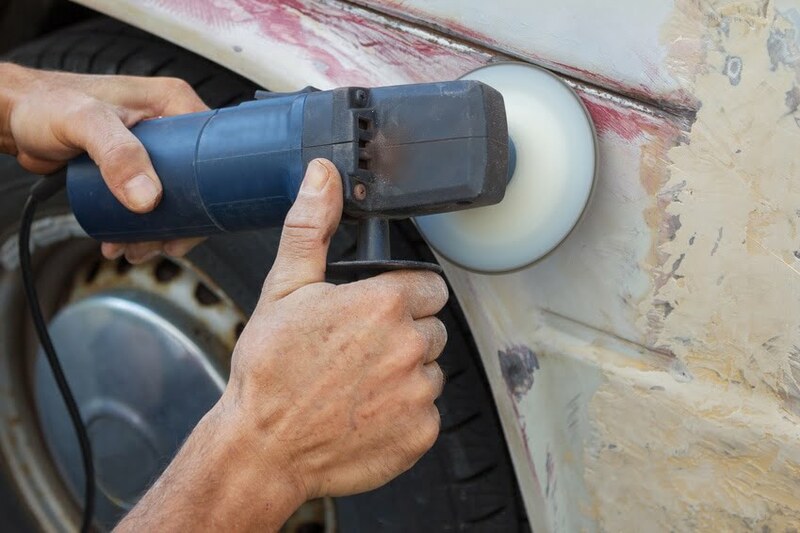 For the most satisfying and effective results, you’ve got to tackle body and paint restoration head on. There’s no shortcut when it comes to restoring paintwork and body panels, and learning how to hammer out dents and rebuild body panels from scratch requires patience and practise. If you’re serious about mastering the art of classic car restoration, why not invest in a welding and metalwork course? Lending you the skills to sculpt brand new body panels for your car out of sheet metal, a metalworking course is a worthwhile investment if you want the satisfaction of completing the whole project yourself. Even if an old car looks OK on the outside, you can almost guarantee there’ll be something than needs attention beneath the bonnet. When left to stand for a long period, moving parts seize due to corrosion and decay. Fluids such as transmission and brake fluid need to be changed at least every two years, or else the systems are liable to fail. 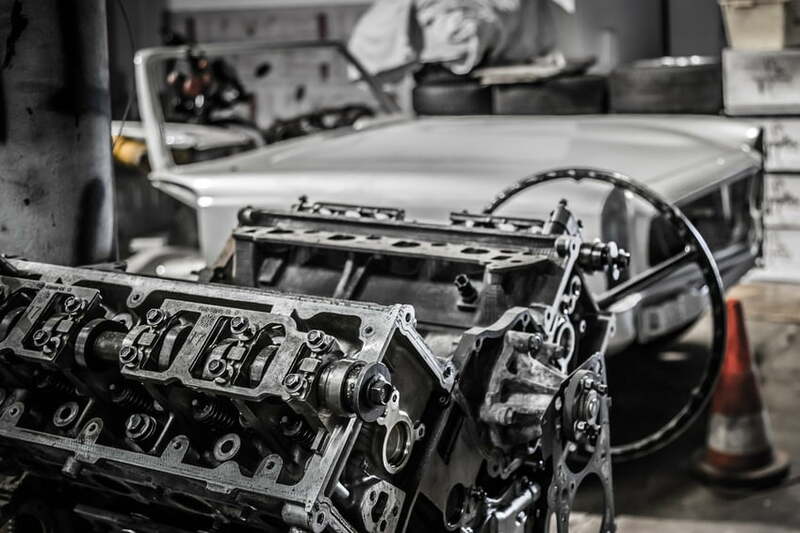 If your old car has been left to rot in a shed for years, you might find you have to repair or replace most of its moving parts. Without regular charging, a car’s battery will go flat in around 4 weeks, and less than that in winter. When left dormant for three months or longer, charging the battery may not be enough to bring it back to life, so you might need to replace it completely. As well as this, any electrical components and wiring within the car will need to be checked to make sure they still work. Wires can degrade over time, particularly if they’ve been exposed to moisture. Mice also have a tendency to chew through internal cables, so always cover and secure your car when it’s left standing in the garage or workshop. If you spot signs of mould in your car’s interior, don’t write the car off just yet. Surface mould is actually easy to remove from the interior of a car using a regular cabin cleaning product like Simoniz Upholstery and Carpet Cleaner; simply apply the product to the mould and scrub away with a cloth. Be aware, though, that the presence of mould could indicate that the cabin isn’t watertight, and this will need to be plugged to stop mould spreading again in the future. Is Restoring an Old Car a Viable Option? To give you the best chance of performing a successful classic car restoration, here are some questions to ask yourself before diving into a new project. What is my budget, and have I accounted for the complete cost?? If the answer’s no, it’s time to dig out the calculator and do some sums. Do I have space to work and store the car in? If not, consider other options like hiring a workspace or borrowing a family member’s garage. What is my timeframe, and how much time will I need to devote to the project each week? Make sure the project doesn’t conflict with your other commitments. Remember, a complete and thorough restoration could take a year or more. Do I have the skills and expertise to complete the work to a high standard? Welding and metalwork are just two of the skills you’ll need to restore a car. Invest in training courses or outsource jobs to achieve a great finish. Remember, restoring a classic car should be a labour of love, and not a way to make money, so pick a car that you want to own and be prepared for some tough but rewarding work. Simoniz polishes, paints and cleaning products can help you to restore your classic car’s appearance and protect it for longer. To find out more, visit the Simoniz website.